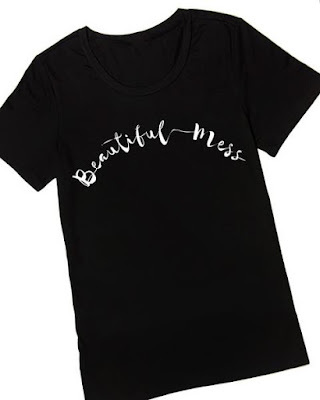 For Graphic Tee Tuesday Cents of Style is offering their "Beautiful Mess" graphic tees for $16.95 with FREE SHIPPING. The tee is normally $29.95. Be sure to use promo code TSHIRT22 at checkout for the discount. Offer is only available today, August 23rd. What a great shirt. Love the words, and you can put some thought into what they mean. Sometimes the messiest things bring the most beauty.